When you decide whether you need a link from some page or not, there are a couple of factors that can help you make up your mind. And these are not just things to add up to each other. You should carefully look at them, when building your links. I′ll tell you about some of the most important factors that contribute to the quality of a link. For the convenience of us both, I′ll call them quality factors, or Q–factors in this book. When I talk of relevance of a potential partner′s website to yours, I mean how close your partner′s offer is to what you sell. If a website has a complementary offer, it′s great to have a link from it. Well, say you′ve got a travel agency and have a site for it. One link to you comes from a website selling detailed maps and travelers′ guides of countries and cities, while another link to you stands on a site that sells wallpaper. The first website is connected with traveling, so it′s thematically relevant to your site, and Search Engines will value the link coming from it more. The second website is thematically irrelevant (travels and wallpaper normally don′t come together). And therefore, this link won′t be that trusted by Google, Bing, or Yahoo! And it′s not only Search Engines who look at the relevance of a site that links to you. People who′re visitors of the website that sells golf clubs may be happy to click a link saying find golf course in your location. But if you′re a meat products wholesaler, the habitual visitor of www.vegetarian–food.com won′t appreciate the link to you. When discussing the relevancy of inbound links I cannot help but mention the Penguin update. 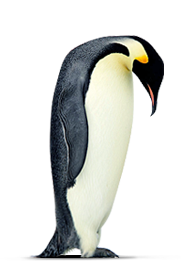 The Penguin update mostly affected the off–page SEO strategy of the websites. It targeted websites using illegitimate aka "black–hat" SEO techniques to manipulate Search Engine rankings. The new algorithm checked the backlinks for relevancy and lowered the websites rankings for any irrelevant links. That′s why today relevancy is most important thing to consider, and getting links from thematically relevant sites must be your thumb rule from now on. Say, I want to get high rankings for the search term wedding ideas. I will try to use this keyphrase in my links′ anchor texts. Let me remind you: an anchor text is the text that′s the clickable part of your link. For good SEO, anchor texts of the inbound links you′re getting should contain your keywords, as anchors help search robots determine the relevancy of a link, which we previously discussed. At the same time, all your links must look natural. If you′re getting 1,000 links, you shouldn′t use the same anchors for all of them. Think: if 1,000 persons naturally put links to you, they wouldn′t use the same anchor texts — people don′t think absolutely the same. "You idle about in front of computer, just like these little kids" — that′s my wife′s granddad, just turned 89. So there′s dozens of ways to say one and the same thing. So, how should you build up links not get hurt by Google and still go up in Search Engines? Just use many anchor texts variations to make your backlink profile look natural. Now many SEOs argue how many exact–match anchors (which are most often commercial) one may have to be on the safe side. Some of them say 30%, others say 60%, but from my experience I can say that 10% are what most webmasters now stick to, mixing commercial anchors with brand names, partial–match and non–descriptive anchors. So, in the view of the recent Google updates (yep, I′m talking about this crazy "Penguinomania"), we have to be very careful with both existing and prospecting backlinks. Let′s recollect the table we made in the previous chapter. Look at the first group of keywords. Though I′m specifically targeting wedding ideas, I′ll also use wedding ideas flowers, wedding ideas pictures, wedding ideas Australia and so on. Plus, you′ve got an even bigger list of keywords where you can take other terms to create variations. You can check the anchors of your existing links either manually or using the SEO SpyGlass tool I′ve described in the previous chapters. Getting married soon? Make your wedding unforgettable! Get fresh wedding ideas at Jeremy′s and plan your wedding with us! Here the link with the anchor text wedding ideas is used in a keyword–rich context and is naturally built–in into the text. Don′t underestimate the value of anchors and context in which they appear. Better spend a bit more time and put some effort into writing proper link contexts. This way, you will make Search Engines rank your site higher in their SERPs, because your linking strategy will look more natural. DO IT NOW! Write at least 5 different anchor text variations and descriptions with your keywords, following the above mentioned recommendations. That′s probably another dimension of relevance. Search Engines put more value to links that come from sites that have your targeted keywords in their page titles and body text. Sounds too difficult? Here′s a real–life example. When I met my wife, I not only liked the way she looked. I was pleased to find out that she also loved listening to Depeche Mode, watching Scarface and reading Tom Wolfe, and hated tomatoes just like I did. You see we had a lot in common, and it wasn′t a surprise to anyone that we married soon. Same thing happens in SEO: if you are "friends" with some webpage, it′s supposed to have something in common with yours. Of course it′s not wise linking to a competitor′s page, though it may have plenty of keyword coincidences with yours. It′s also unlikely that your competitor will place a link to your site on his. Still, it′s possible to find hundreds and even thousands of non–competing pages. For instance, if you sell cats food, and one of your keywords is smooth–coated cats food, you could get a great link from a webpage entitled "Cats pictures — smooth–coated cats and kittens". The document extension (*.html / *.php / *.jsp) in unlikely to affect your search engine rankings in any way. If we leave out the page content for a moment, what matters with regards to URLs is a logical and consistent URL structure, using the right keywords in your URLs, and the overall 'crawlability' of your site (having a XML sitemap, having plain-text links to all pages on the site, proper use of a robots.txt exclusions). How does it effect the links when commenting? I would assume it would be the same. I used my travel club domain for my web address here, so it is totally unrelated, and giving my travel site backlinks from an SEO site. Is that bad? You don't have to worry about it. It's hardly possible to find a website with all the backlinks coming from thematically relevant sites only. 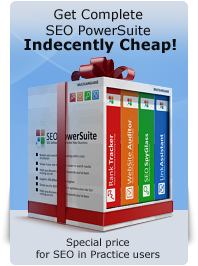 There is always a percentage of backlinks coming from unrelated sources, and it is accepted by Google and other SEs. It depends on the niche you are working in. Non-competitive keywords can require only several dozens of relevant links, while if you are trying to rank well for highly competitive keywords you will need many more links. Usually researching your competitors' backlinks helps determine the necessary amount of backlinks you will need. I have found way of finding relevant links to my blog via this google search ........ wordpress comments "bikini swimwear"
Hello Dan, first, thank you a lot for providing this professional lessons, and your personal tips so far. I have a question about links from same "C block" domains. I have a contract with my hosting comp. for 10 Top Level Domains, allowing up to 1000 Subdomains. The 10 Maindomains are all about one theme/ topic. If I added some 90 Subdomains to each Topdomain, and used each subdomains indexpage just for linking out to all of my Mainpages,without adding much of a content, would this behaviour harm my rankings, becaus of the same C- Block entry, or even different reasons? Or would these links count, and give me SEO value? This won't hurt your rankings, but all your links will be of almost no value (because of the same C- Block entry). Google (and other SEs) will most likely consider that all these domains belong to one person - thus these links will be considered as internal links from the same domain. This is unlikely to hurt your rankings. And this can even bring a little bit of use, but won't work like external links. Therefore, once again, you need to obtain links from domains with IPs that differ from the IP of your websites. I have a quick question regarding relevance. We build websites and have built a site for a national sporting team and have been offered a spot on their partners page which links to our site. Cricket isn't directly related to website design but because we built the site it does make it relevant. Would it be OK to accept this link or would it be seen by google as a 'bad' link. Thanks - and great work so far. sometimes we have option to exchange link with a banner ad. If I am properly recognizable by my logo then should I opt for this with alt text ( contain keyword)? Yes, if there is a possibility to have a good alt text, you should use that chance. but a textlink is preffered right?